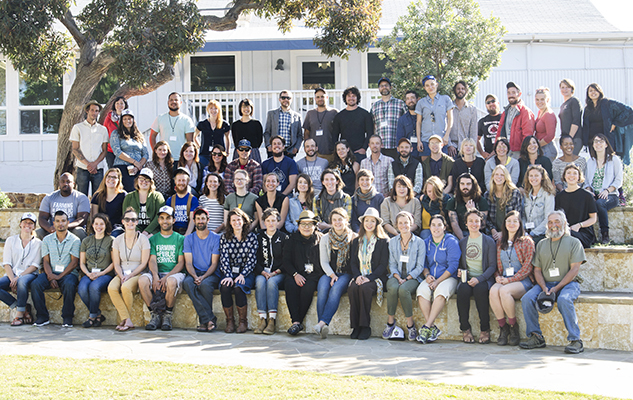 More than 60 young farmer leaders from 26 states gathered in Encinitas, CA in November for our 2nd annual National Leadership Convergence. From rural mid-Missouri to urban New Orleans, our chapters provide a platform for young farmers and ranchers to tackle the challenges they face building careers in agriculture. 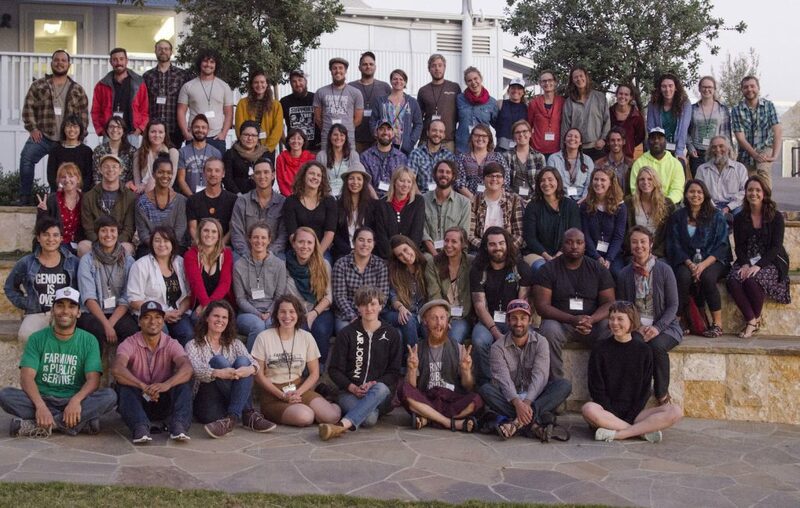 The Convergence is an annual celebration of the young farmer leaders who go above and beyond in their communities, fighting isolation and barriers to success through grassroots network building and policy change. 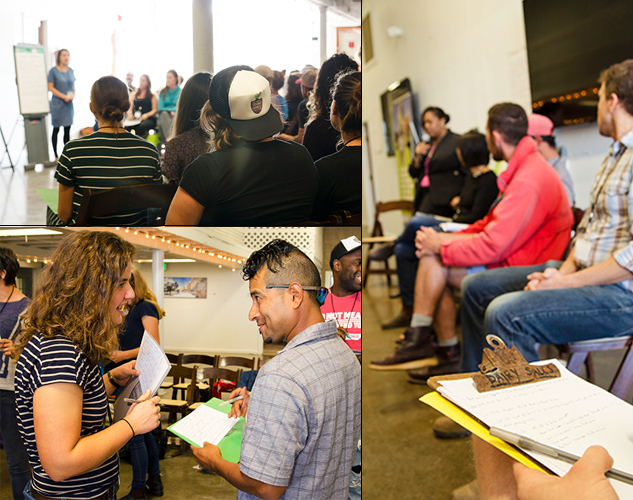 For three days this November, our leaders learned critical organizing and advocacy principles, shared best practices from their home chapters, and built relationships with like-minded farmers. 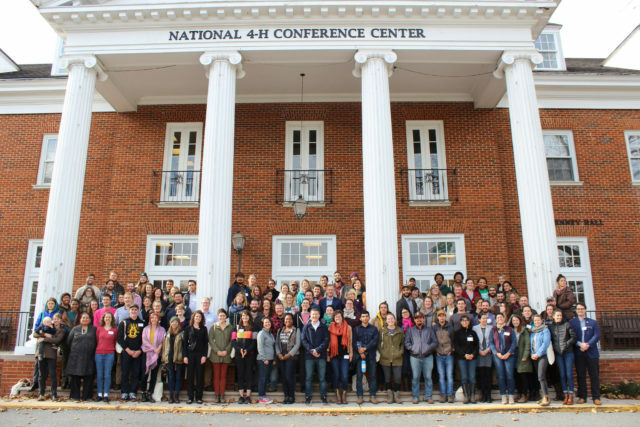 Chapter leaders left the Convergence feeling more connected to the national coalition, equipped with new skills, and energized to grow their chapters’ capacity to make change. At our plenary panel, “Organizing for Social Justice and Community Self-Determination in Food and Farming,” Navajo food justice advocate Denisa Livingston, lifelong New Mexico organic farmer Don Bustos, and Rhode Island-based young farmer and chapter leader Tess Brown-Lavoie, shared their diverse perspectives and advice for new and emerging leaders. Denisa has mobilized her nation to pass a junk food tax to support healthy eating initiatives. 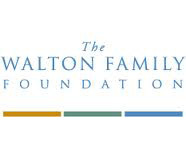 Don, who farms the same land his family has cultivated since 1598, is working to train new farmers to keep the centuries-old tradition of family farming alive in New Mexico. 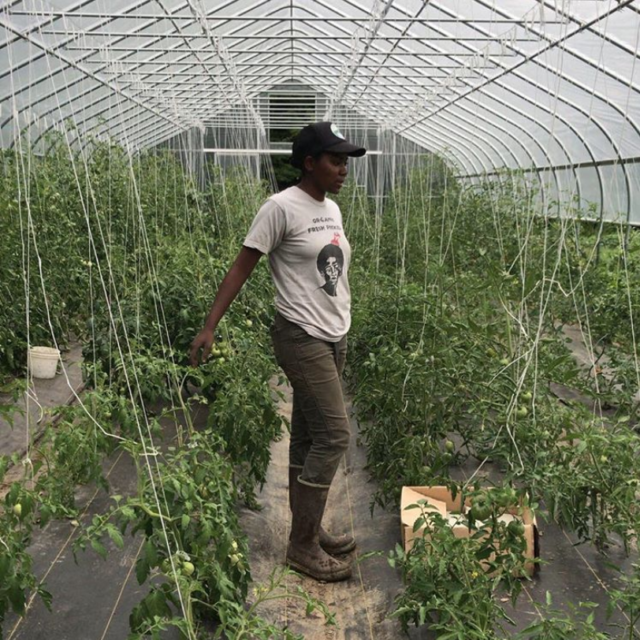 And Tess is organizing the predominantly white farmers in her chapter to work hand-in-hand with people of color in their community towards dismantling racism and oppression. The main takeaway from the session was that the most powerful and healing solutions to challenges often come from within the community itself. With the Farm Bill up for reauthorization in 2018, next year is critical for determining our priorities to support the future of agriculture. At the Convergence, we took the opportunity to share our current platform, gather feedback from the chapter leaders, and strategize how we will win a Farm Bill that supports all young farmers. The Convergence took place at Coastal Roots Farm, a nonprofit farm and education center. On the first evening of the Convergence, more than 100 local farmers and farm supporters joined us for a mixer featuring live music, local tacos, and a premier of “Conservation Generation,” a short film highlighting innovative young farmers in the arid West. 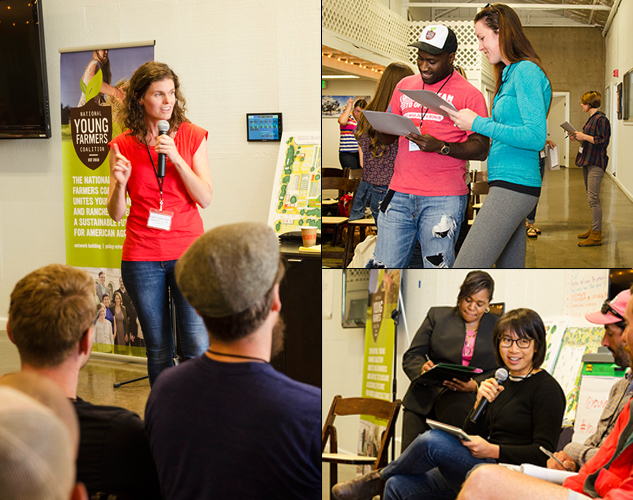 The mixer was co-hosted by our local chapter, the San Diego New Farmers Guild. We thank our passionate keynote speakers, Don Bustos of Santa Cruz Farm, J. Latrice Hill of USDA’s Farm Service Agency, and Kelly Placke of Placke Organic Acres and farmer/owner of Organic Valley CROPP Cooperative. Thank you to our generous sponsors who made the Convergence a success.